Somebody asked me a few weeks ago whether I knew a lounge where you could listen to piano music, have a nice drink and enjoy the company of friends. Seeing as that concept was something I knew in Mexico but in Canada I wasn’t too familiar with it (the idea of a “piano bar”), I was a bit taken aback. 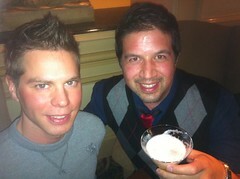 It took my friend Brian Webb‘s birthday for me to find out about 900 West at the Fairmont Hotel Vancouver. Jay Minter invited me to join him and other friends of Brian to join them at 900 West Lounge at the Fairmont Vancouver Hotel for a drink. I will fully disclose that I had no clue that (a) the drinks were so good (b) the service was so nice (c) the music was fantastic (d) the atmosphere was really low-key, chill and perfect for a post-work or early evening (or even late evening) drink with friends. The Fairmont Hotel Vancouver welcomes you to the 900 West Lounge. Relax in our soft wingback chairs, admire our beautiful architecture and enjoy the sultry sounds of our live jazz entertainment. Business lunches for a few clients or a romantic dinner for two, the 900 West Lounge sets the mood for any occasion. With our extensive wine selection and our famous tapas menu you can never go wrong. The next time you join us let us take you on a journey with our wine flights or just a sip from our popular martini list. 900 West Lounge is where Vancouver meets! As for drink prices? Pretty much around the price of any watering hole in Vancouver that prides itself in its martinis ($10-13). A bit on the pricey side, but still affordable if you have a drink. I would definitely come back, particularly as they have a nice lunch feature for $18.00! Disclosure: As usual, I paid for my drinks on my own dime. Thanks for the review! Sounds like this Hotel is a nice place when your want to unwind. The music of piano will certainly gives you a nice feeling while listening to it. 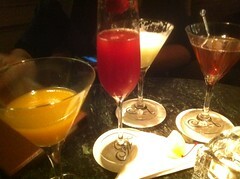 And the drinks.. kinda cool!